i know that it's april, so it's not prime pumpkin season at all. however, i was really in the mood for pumpkin ice cream recently. 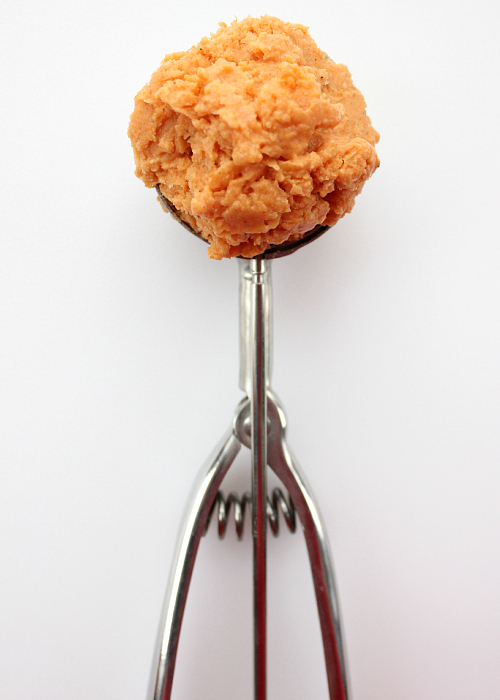 i had a can of pumpkin puree in the pantry, and some yogurt in the refrigerator, so i decided to whip up a small batch of pumpkin frozen yogurt. this recipe could not get any easier. all you have to do is mix 4 simple ingredients together. the hardest part is waiting for it to freeze. 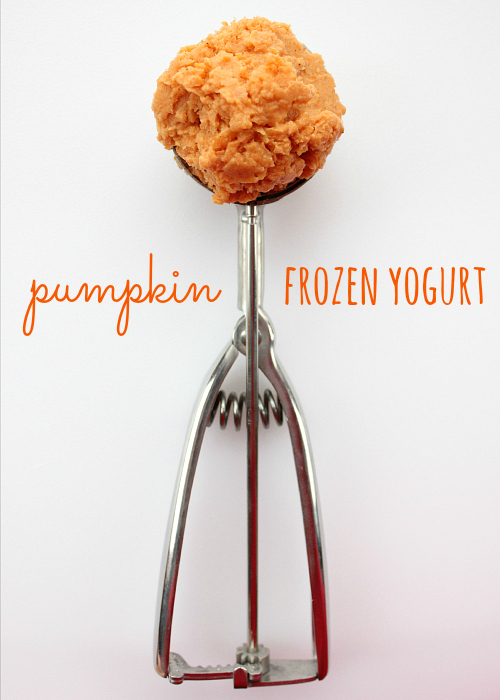 simple, tasty pumpkin frozen yogurt . . . and it's actually good for you! mix all ingredients together in a bowl until completely combined. our the mixture into an ice cream maker, and freeze according to the ice cream maker's instructions (about 30 minutes). remove the frozen yogurt from the ice cream maker and transfer to a freezer-safe container. freeze until completely set (about 1-2 hours). note: if you don't have an ice cream maker, you can put the mixture in a covered bowl and place it in the freezer. stir the mixture every 30 minutes until it reaches your desired consistency. Sounds delicious. Would go great over apple crisp. Pumpkin always reminder of fall. Hurry up spring.